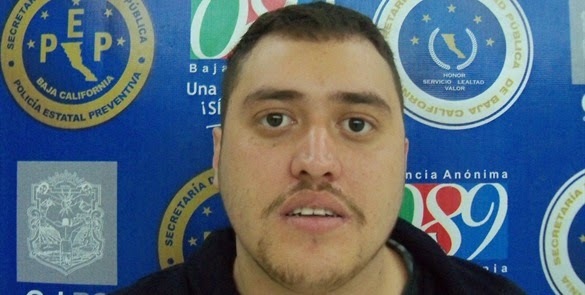 Luis Alberto Garcia Meza, 'El Wicho', was arrested by elements of the municipal police on October 20 2014. The 25 year old was arrested on the La Cienga Avenue, around 3:00 in the afternoon, in possession of 10 doses of crystal meth, packaged for sale. In his company was an 18 year, Ruben Hernandez Manuel Rios. Garcia Meza 'confessed' to working for Jose Luis Mendoza Uriarte, 'El Guero Chompas', renegade cousin of Raydel Lopez Uriarte, 'El Muletas'. Ryadel Lopez was a near legendary figure in Tijuana, during his years with Teodoro Garcia Simental, 'El Teo', one of his lieutenants in the war against the Arellano Felix cartel. Teo broke away, taking 'Muletas' with him, who at the time commanded a crew of at least 100, many with 'Special Forces De Muletas' shirts and hats. 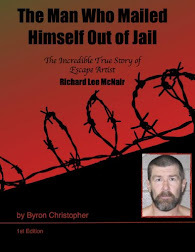 Raydel Lopez was captured in Febuary 2010, after his sister Diana Lopez and her boyfriend were kidnapped, by Juan Sillas Rocha, CAF operator. Diana was released, the boyfriends body was left in the street. 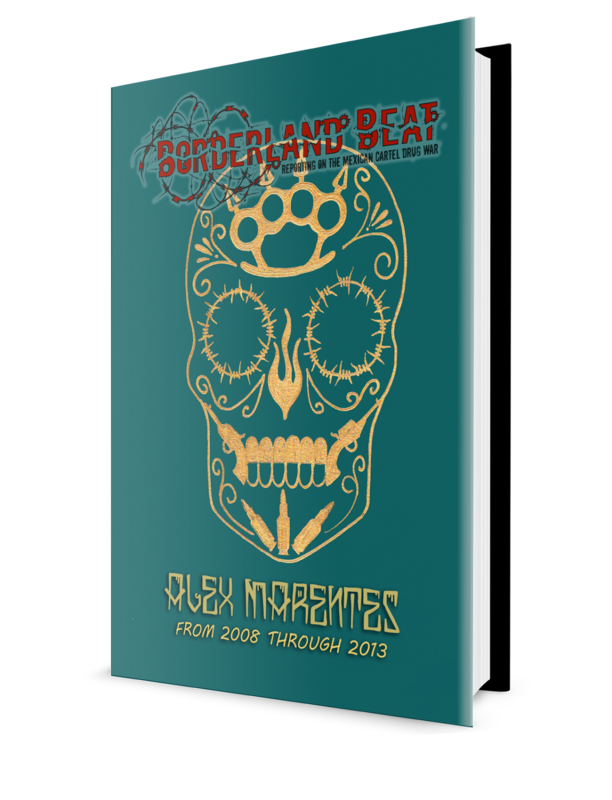 Shortly thereafter, Guero Chompas emerged, as a Los Teos operator, a collection of former CAF, former Teos, who now worked loosely under Sinaloa Cartel management. Chompas was arrested in December 2011, but released in 2013, and began right where he left. Tiendtias and territory that were his, had been restructured during his time away, and he went at everyone who he felt owed him. 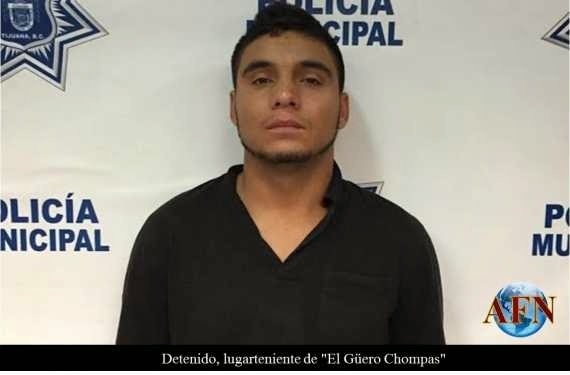 At the moment his cell his said to be responsible for over 100 murders in Tijuana during the last year or so, he recently left a banner saying he was 100 percent with the Sinaloa Cartel, and taunting El Atlante, now captured Sinaloa cell leader, and former Teo, from the same line. Meza Garcia was a former Teo, arrested in 2009 with other Teos, in possession of firearms. He was apparently released in the years that followed. It is questionable that a 25 year old would be a valued lieutenant in a cell, much less someone carrying less then a quarter ounce of meth for retail sales. However, years ago, when 'Gordo Villareal' and 'El Jimmy' were said to be the 'new generation, it was generally accepted these men were more violent, flashy, and considered less then their predescssors. If these are the replacements, it's no wonder the caliber of workers has diminished. Sicarios to hits for 500 pesos and some crystal, long gone are the trained killers and special forces like units of organized crime in Tijuana. Left are the remnants of the crews, the killers, enforcers and bodyguards who move easily with violence and executions, taking to the retail drug trade with little finesse or diplomacy. 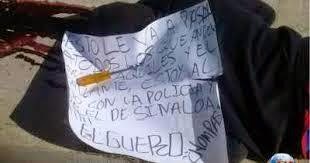 Guero Chompas continues his bloody rise in Tijuana, as insecurity continues to rein, as cells and organized crime suffer from confusion, and realignment of alliances within their ranks. El Guero Chompas looks exactly like Buzz Lightyear! To infinity and beyooooooond! Pobre Tijuana...y puro deportado...like the u.s.,customs said,in scareface..the U.S customs is shittin all over us.. He said "Castro is shittin all over us". I have seen this guy Guero Chompas before but never knew who he was. Anyways, i dont think the 25 year old kid is a lieutenant, rather just a low level drug dealer. So whos in charge in tijuana wats going on over ther it's bin so quite after the capture of el inge??? So who controls Tijuana or is it divided to different cartels, who runs Mexicali ?